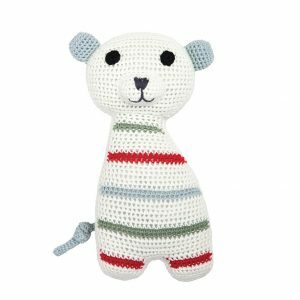 Sally polar bear organic rattle, cute and light-weight hand-crochet rattle. The ring makes it extra easy to hold for a small baby. 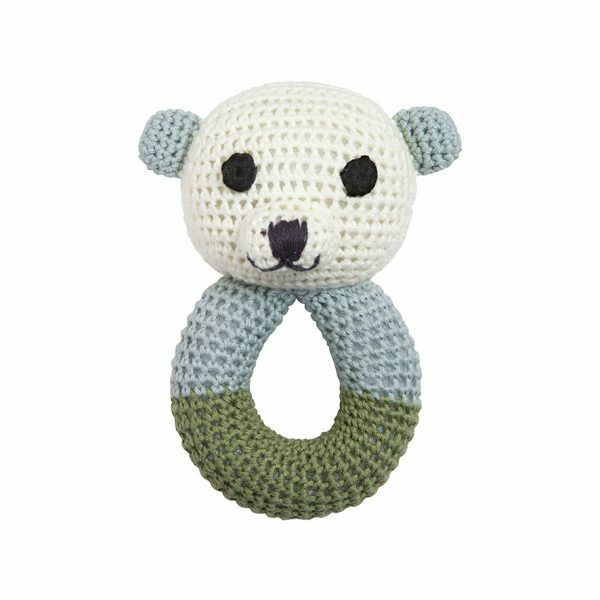 The soft rattle sound is perfect for baby. 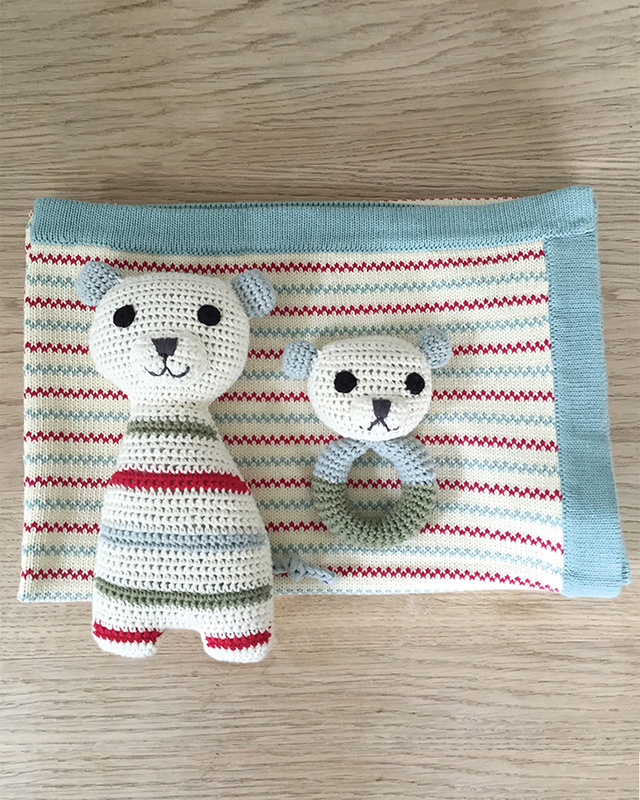 The rattle is hand-crochet in organic cotton yarn. 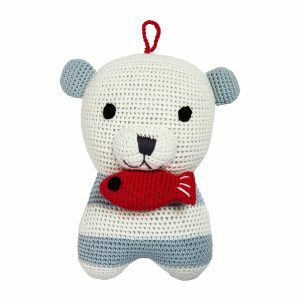 The feel of the crochet cotton is a different from other plush and fabric toys. 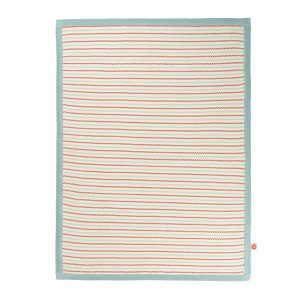 Baby will have new experience because of the different tactile surface. This helps develop baby’s fine motor skills. 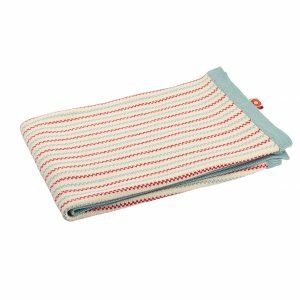 Material: Yarn made of 100% certified organic cotton, environmentally friendly dyes. Filling: 100% polyester and phthalate free ABS plastic rattle.